Without crowdfunding, we might not have the Pebble smartwatch. And without the Pebble we might not have Android Wear or the Apple Watch. So the launch of a new crowdfunding platform meets startup incubator with tons of wearable tech experts on board is seriously exciting news. 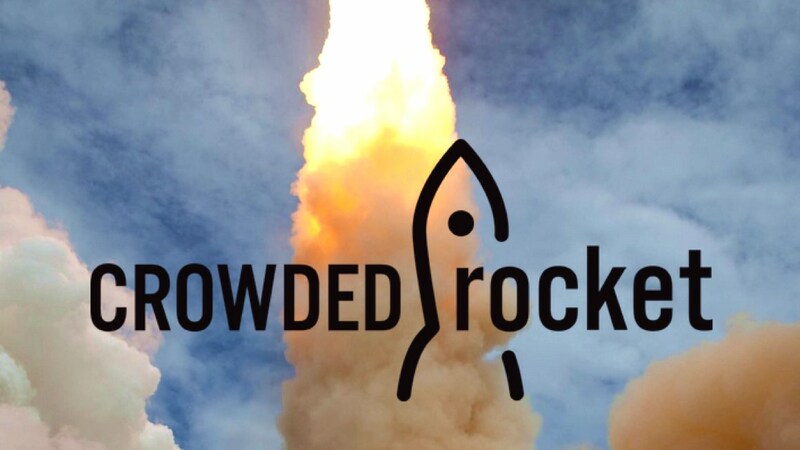 CrowdedRocket is the brainchild of serial Silicon Valley founder John Gotts who has enlisted a group of experts to curate and approve the projects up for crowdfunding. There's tech blogger Robert Scoble (the guy you might have seen showering with Google Glass), Myriam Joire, who has collaborated and worked with everyone from Engadget to Pebble, investor Yobie Benjamin and wearable tech conference organiser Julien Blin. The idea is that the CrowdedRocket team will help popular projects with their campaigns and once they reach their target, help them to get more funding from investors. According to its mission statement, it will also manage gifts to avoid fraud and work to share the financial success of projects with the original backers "so the next Oculus Rift rewards people who supported the initial campaign." The launch has been so popular that CrowdedRocket's host servers went down and are yet to pop back up. We had a peep at the site beforehand and true to their word, there are only a handful of projects, about a third of which are wearable tech. Moodmetric is a ring, designed by a Finnish jewellery designer, which measures galvanic skin response - the moisture from sweat - to track emotion levels throughout the day via your smartphone. And version two of the niche smartwatch for basketballer players, Hoop Tracker, adds a rim-mounted hoop sensor that can pair to your phone or the watch. CrowdedRocket is definitely one to bookmark as the team promise new projects every month as well as new features. We'll be keeping an eye on the wearable tech and Internet of Things ideas in the coming months.